– Joey Ramone, New York City. At a ratio of 95% prescription eye and sun-wear to 5% non prescription sun-wear, the store cultivates a low-key, familiar vibe with no pressure to buy. 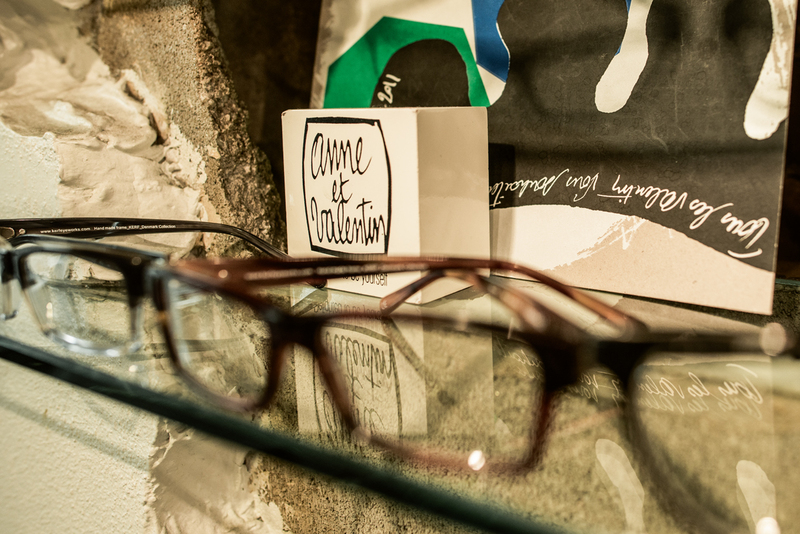 Just the right atmosphere for EYEWEAR Magazine to catch up with Anthony Aiden on how to keep things cutting edge in the eyewear business and his current mission of warming up American audiences to the idea of building their own “eyewear wardrobe” instead of owning just one pair. Thank you Anthony for taking the time to talk to us. What’s new in the East Village today? Everything!! Our neighborhood is forever evolving. It has gone from an edgy Bohemian artist community to a multi-cultural melting pot. We have restaurants serving food from every corner of the world, bars that light up the night, fashion-forward designers setting trends with a needle and thread, and of course, relevant up-to-the-minute stores selling everything from housewares, to jewelry, to clothing that rivals the latest wares offered in Paris. You’ve been in business since here 1989. What initially attracted you to eyewear? I found the eyewear business intriguing because not only do you help improve a person’s sight, but you improve their overall image of themselves, and how people see them. 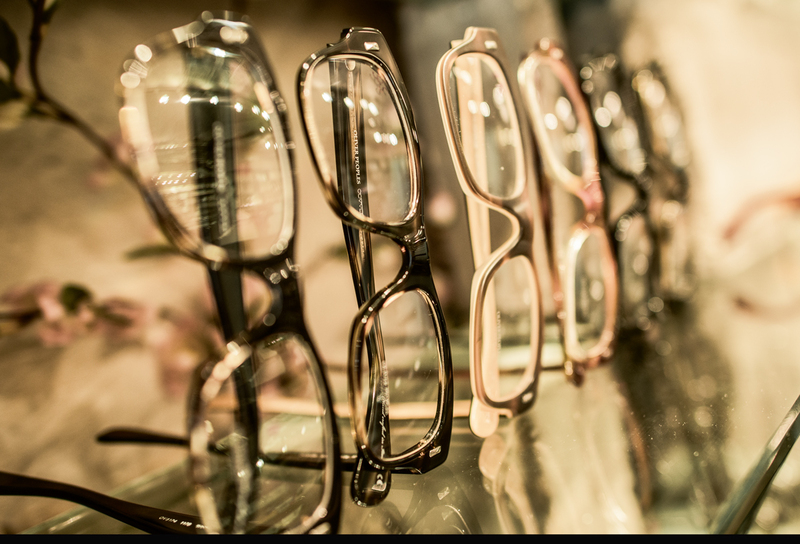 I have had clients walk through our doors, with glasses that take away from the person they are, and after being fitted they leave with the perfect pair… a natural fit, with great blends of color, shape, and texture. It is rewarding when you hear how you changed someone’s life in a positive way. And what made you decide to start your own store? You can go through your career making money for your boss, or you can risk it all and make yourself money. Opening your own business is the most terrifying moment of your career. There are so many things to contend with; turning the key at closing and not thinking of work for the night is not an option. Fear of failure, loss of your investment, and worry all run through your mind when going into business for yourself. I was confident in my talents and fashion sense to make it all work. A juggling act for sure, but 24 years later my doors are still open, and it’s a great feeling to know I created one of many East Village institutions, that set the trend, and not follow, and we show no sign of slowing down. What made you choose the East Village as a place to set up shop? As a teenager, I gravitated to the East Village and found it to be different than any other area in Manhattan. It had a gritty, turbulent history, but the edgy coolness and vibe attracted me. Designers would set up shops to create and sell the newest trends in clothing and the like, and I wanted in. I wanted to contribute to my field, and set the trend in eyewear. I have worked in many different neighborhoods in Manhattan, from Wall Street to the Upper East Side, but have always found the clients in the East Village to be the most fun, hip, and entertaining. Looking back, what have been the most significant changes since you started? The store over the years took on a life of its own. Through word of mouth, clients started flocking in to see what we had to offer; between our meticulously chosen stock, and our imaginative window displays, word of mouth spread like wildfire, and our shop went from a two-man operation to employing ten. How about the eyewear business as a whole? The eyewear community as a whole has changed drastically also. It’s no longer uncool to wear glasses, they have gone from being a necessity to an accessory. With the relationships I’ve built in product development in our industry, I feel we have really taken eyewear in general to another level, and have been really grateful for all the opportunities. Your selection of brands is really eclectic and top-shelf. Has that been a focus from the start? From the very beginning my goal was to make it fun, hip, and cool to wear glasses, and nothing does that better than to make that style your own. You can’t do that with mass-produced, cookie-cutter styles offered at chains and department stores. I have always chosen brands and designers that are consistent with my vision, who are not afraid to try different things. It has always been my focus, and it has helped set us apart from everyone else in this business. 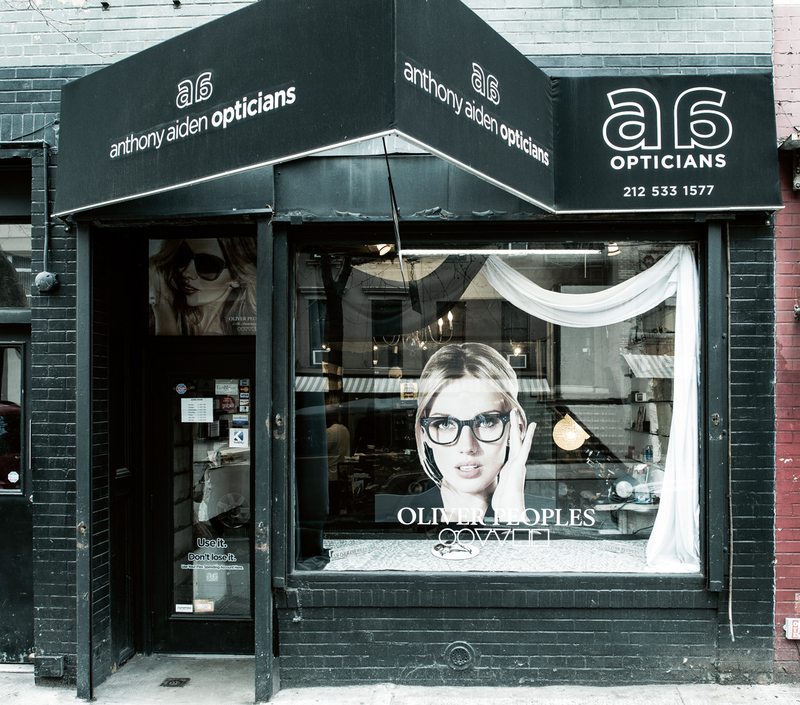 What is the philosophy behind Anthony Aiden Opticians? Our core philosophy? Making the client happy at any cost! Sometimes it’s more important than turning a profit. Educating your client, making them leave content and feeling confident in their purchase is what we are all about. Anyone can sell a product, but we aren’t just selling a pair of glasses, we are selling an image, a lifestyle, and they carry it out on their face for all to see… it really is the best form of advertisement. One thing I found really interesting is your approach of helping customers build an “eyeglass wardrobe.” Please explain the concept. It’s easy… you have ten pair of shoes, eight different handbags, six leather jackets and one pair of glasses. We see it constantly. Glasses are not only a tool to see with, but they are the first thing people see when they meet you. It’s all about image and perception, both inward and outward. You can take your jacket off and hang it up, you can put your bag down when you enter a room and your shoes are on your feet, which no one is really paying attention to, but your glasses are on your face from the minute you wake to the minute you put your head down to sleep. So owning one pair just doesn’t cut it? You may feel like wearing a heavy retro black frame one day, and a light preppy tortoise shell the next day. You can wear an invisible rimless pair, or blacked-out sunglasses for the morning after… There are so many possibilities, why be stuck with only one [pair]? You don’t do it with your outerwear, shoes, or bags – and you shouldn’t do it with the most prominent accessory you own. Over in Europe, it is far more common for people to own several pairs of glasses for different occasions. Is that something that still needs to become established among US customers? Yes, absolutely! Americans do not see the need for more than one pair. It’s been engrained in them because eyewear has only recently been viewed as a fashion accessory. I couldn’t imagine owning one pair, even from a practical standpoint. What happens if they break? Who are some celebrity customers you work with? Do you want to get me in trouble!? Look, I can’t discuss who, but I can tell you we have tons of artists, actors and actresses and even the occasional supermodel perusing our shelves and making special requests. We always try our best to fulfill their needs just like everyone else. I even personally hand-delivered a pair of sunglasses for an artist, who was appearing on one of the late night talk shows. Celebrity or not, I guess it’s all in a days work, because I’ve hand-delivered many frames to clients. Next to hands-on delivery, it looks like you offer the full spread of services? We do!! Repairs, custom coloring, and replicating frames are among some of the services we offer. We do what other stores won’t bother doing and it helps bring in new clients. One day they are coming in hoping we can repair their glasses, and the next time they are in they are calling us their opticians. Relationships always start small! How do you go about discovering new brands for your store? In my travels I’ve always stopped into optical stores, chatting and looking for frames that were unique. Now because of our customer base and worldwide reputation, these companies find us, along with tourists always ready to show us what they have. And when that tourist stops by with an interesting pair, I always offer to clean and tighten it, making sure to sneak a peak at the label. It keeps us fresh and competitive, instead of being the mundane cookie-cutter eyeglass store that the public is so used to. What are some brands and designers that are doing their job well right now? Rapp Eyewear out of Toronto has really grown in our store, they offer one of a kind, hand-made, unique designs that I’m very proud to showcase. Dita based in LA has released Thom Browne [eyewear] this past year, and it’s been doing extremely well. All in all, each of our brands adds something to our store, and I am so happy with our current offerings. What are the biggest trends for 2013 in terms of styles and materials? Metal frames are making a big comeback, cut in sheets they give that bold appearance, but still maintain a classic light fit! Heavy plastics are still very strong, the trend has been leaning to more double and triple laminates which always do well. I see some designers testing the market with different materials such as bamboo and horn. Which three items or brands could you not live without right now? Thanks for the interview, Anthony, it’s been great learning about your store.